The phrase ‘Google it’ has become synonymous with searching for possible answers on the web with just a click. Ever since the advent of technology, the dependency on web-based information has multiplied at a phenomenal rate to an extent that life in the 21st century comes to a standstill without the internet. More so, it has made the spread of information and news very quick such that it is creating a problem where users create fake news and spread it on the internet. Fake news on Google and social media have raised the ire of Special Advisor to the President, Chris Mutsvangwa during the a World Press Freedom Day Zimbabwe breakfast meeting today. Mutsvangwa who claims to be the father of the internet and the digital age in Zimbabwe surprised the audience when he demanded that the Google Zimbabwe Editor is biased against Zimbabwe. Seriously??? Does Google have an editor or its just autonomous algorithms? For someone who considers himself to be a techie, to hear this is shocking. He said that he wants to know the editor of Google in Zimbabwe as he was not impressed with the way Google presents news on Zimbabwe. ‘The way Google presents information on Zimbabwean issues is questionable. Who manages Google? The Special adviser went on to say that social media needs to be regulated to stem fake news as it posed to be a danger to the free press. He issued a stern warning to journalists asking them to guard against fake news otherwise they will write themselves into poverty. Is it even possible to for Zimbabwe to regulate Social Media? But the regulation of fake news is hard for a country that is not technologically sophisticated like Zimbabwe as previously discussed in this article for the mere reason that it’s almost impossible to know where the fake news originates from. 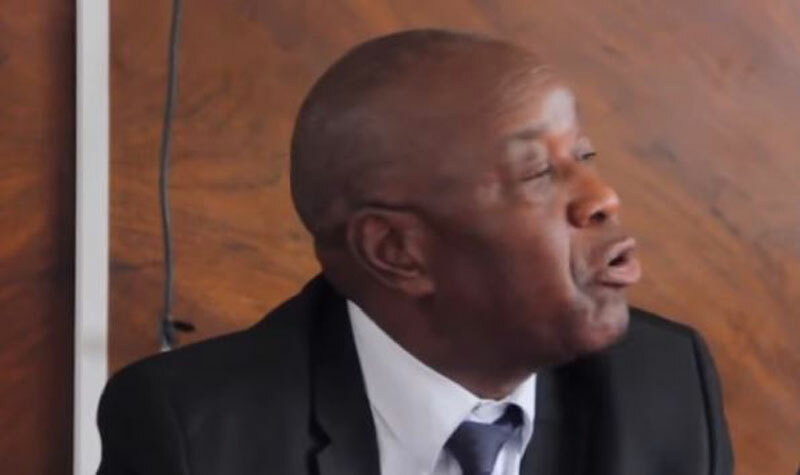 Chris Mutsvangwa may be taking a cue from Uganda which is considering taxing social media. So in light of this, by taxing social media companies, the government will effectively be able to penalize them if fake news was spread on the platform. Why this sudden call to regulate social media? Mr. Mutsvangwa knows the power of social media with respect to the part social played in making in the transition of power late last year. He stated that social media played a crucial role in bringing about change during “Operation Restore Legacy”. In the same vein, he fears the upcoming elections results can be swayed against his party if the fake news is not curbed. Elections results in Sierra Leon were alleged to have been influenced by fake news that circulated on WhatsApp. When it worked in their favour last year it was welcomed with open arms. Hypocrite! Fake news is a threat to everyone not just the “free press” and yes, some regulation is required especially on security issues, opting into functionality as opposed to being forced to opt out as well as fidelity of news or articles published. ED’s advisor, like millions out there, might not be aware that Google offers a popular web browser that offers searching facilities amongst other products or services. Everyone who has a web site is an author and the Google browser is just one of numerous tools to read what the “authors” write on their web sites, including “news” fake or real. A good number of people out there might not even be aware that not every internet search result reflects true, correct or bona fide information. There is also internet SPAM. This is why regulation is required to protect users from malicious web site owners/authors. The internet is an abbreviation of “interconnected network” of computer devices it’s not a “place”. It’s Chrome not Google browser. And it’s your choice to use it or not. Yes, thanks the web browser application by Google is called Chrome. Google offers more services and users can choose to use them or the other varieties of web browsers available from the internet. Web browsers are just tools.